Thanks to Dani for first publishing this urban myth as part of the blog tour! My uncle is a detective in Phoenix. He told me this story once about a kid who wasn’t happy with the popcorn that was coming out of his fabber. It wasn’t that he didn’t like the flavour or anything. He just didn’t think it was fresh enough. He liked it really hot, right out of the pan, practically still popping when he put it in his mouth. The trouble was that it takes time to scan patterns, so between the original chef cooking a batch, putting it in the scanner and pushing the button, the popcorn had cooled just enough to make the kid unhappy. Every time that batch was fabbed, it was always just that little bit too cold for him. He wasn’t going to stand for it. The first thing he tried was the obvious thing, to make and scan some popcorn of his own, but that didn’t work. He couldn’t scan it quick enough, no matter how hard he tried. So what he did next was, instead of creating a new pattern, he worked out how to hack an existing pattern. After all, what is a pattern but just numbers describing atoms and stuff? Part of that description includes how fast the atoms are moving, which is another way of describing heat. Changing the numbers meant he could make things faster and hotter–in other words, he could really make the popcorn pop. It took a while, and he made a lot of mistakes. Some of his hacked patterns were burned black, or frozen, or inedible for a whole bunch of other reasons. But eventually he got his fabber to make popcorn just the way he liked it, which is pretty clever, really. My uncle likes to say that this kid was super smart and super stupid at the same time. He worked out how to hack a pattern to make the perfect popcorn, but what he didn’t do was stop there and not wonder about what else he could do. Creating a bag of popcorn that all popped at once was pretty easy. It went off like an edible firecracker, which made him think of actual firecrackers. The kid wasn’t stupid enough to start mucking around with gunpowder, and anyway he didn’t need to. 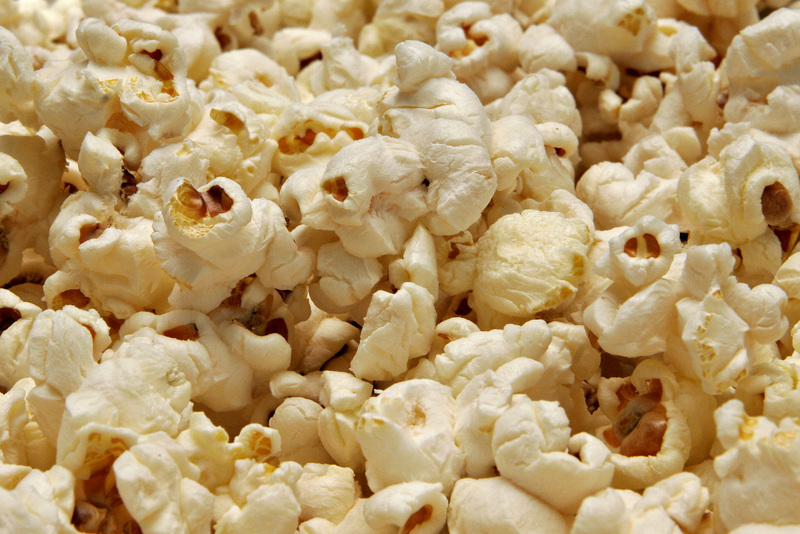 Popping popcorn takes a small amount of random atomic velocity, but it doesn’t have to be random. What if instead of moving just the individual atoms in a kernel of popcorn he moved the whole kernel at once? How fast could he make it go? A kernel of popcorn moving at several times the speed of sound is like a bullet. If it’s got enough energy it’ll shoot out of the fabber and through anything in its path, which is exactly what happened. The kid went through dozens of fabbers and made a series of tiny holes all through the walls of his neighbourhood. It’s amazing he didn’t shoot anyone. He called his invention a popgun and posted a picture of it to the Air. The peacekeepers took it down, of course. If every teenager knew how to make these things, it’d be the end of the world. That’s why mucking around with fabbers is illegal, now. Eventually he got bored of the popgun, so he went back to the idea of random heat. A kernel of popcorn popped when it had enough heat. What would it do if it had even more? No one knows exactly what he did next. Plugged the fabber into a powersat line, maybe. My uncle just knows how it ended. Remember that explosion they blamed on terrorists ten years ago? The one that took out a whole neighbourhood and killed dozens of people? That was a single superheated kernel of corn, popping with the light of the sun.